The presented room availability, rates and discounts are actual and final for all our 65 hotels in Garmisch-Partenkirchen. Tourists, who expect to devote much time to skiing, are recommended to visit the resort during the period from December to May. At this time of year all the zones for this kind of sport are open and visitors will surely benefit from the most favorable weather for skiing. The resort is a perfect choice for both professional athletes and novices. They will surely benefit from more than 60 kilometers of plains and gentle slopes. All guests of the resort are welcome to visit the local ski school. There is also a special school for children in the resort. Bus remains the main form of public transport. You can use it to travel to absolutely any part of the city. By the way, you can use it to get to the nearby settlements and suburbs of Garmisch-Partenkirchen. Tourists are not recommended to go far away from their hotels in the evening as buses usually ply less frequently after 24:00 than in the daytime. 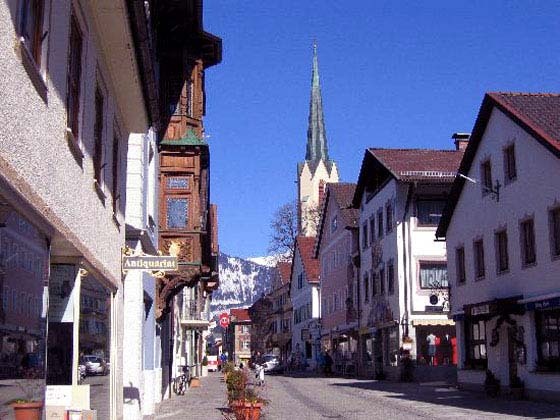 You will find an effective system of discounts for foreign travelers in Garmisch. Tourists, who pay the city tax during their stay at the resort (the size of the tax is approximately 2 euros a day), will get a special tourist pass. This pass entitles you to a reduced fare in regular buses and a discount for visiting local entertainment centers and activities. Besides numerous restaurants, cost-conscious travelers should not forget to pay attention to the local pubs. Irish and The Rose'n'Crown are considered the most popular pubs of the city. In addition to a large choice of drinks they serve a no less richer selection of dishes at very attractive prices.